The original man behind the mask is coming back next year. The upcoming Halloween reboot is starting to sound more and more like it could actually be great. Or, at the very least, authentic. Not only is Jamie Lee Curtis coming back as Laurie Strode for the first time since her rather lame death in Halloween: Resurrection, but it's now been revealed that Nick Castle, the man who first played Michael Myers in John Carpenter's Halloween, is returning to the role for the new movie, which is set to arrive in theaters next year. This news comes as a bit of a surprise. A surely welcome surprise for fans of the Halloween franchise, but a surprise nonetheless. Nick Castle only has a few, very select acting credits to his name, one of them being for Halloween in 1978. 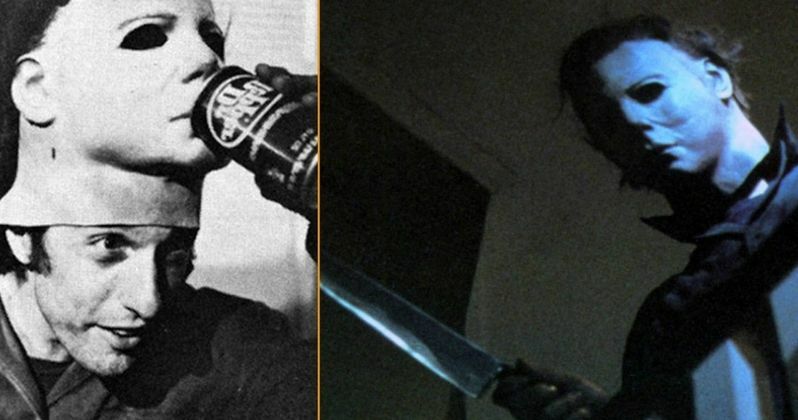 As die hard fans of the iconic horror franchise will likely know, Castle was credited as "The Shape" for his work on Halloween, but he was the now famous fictional killer known as Michael Myers. He only played the role once, so having him back for the reboot, which also has John Carpenter on board to score the movie, and as an executive producer, is pretty amazing. While specific plot details are being kept under wraps, it's been said that this Halloween, which is directed by David Gordon Green (Pineapple Express) from a script he co-wrote with Danny McBride, is going to ignore every sequel in the franchise. Even Halloween II, a sequel many people like and that John Carpenter wrote. So, having the original Michael Myers actor back for the movie feels appropriate, given that this movie is going to revise the history of Halloween in a very significant way. This new report also states that stunt performer James Jude Courtney will be playing Michael Myers in Halloween as well. Nick Castle, who has had a career as a writer, producer and director in the years since portraying Myers, is 70-years-old. While he can likely do a lot of what will be required in Halloween, any of the more intensive work will probably be handled by Courtney. The cast for the movie also includes Judy Greer as Laurie Strode's daughter and Andi Matichak as Strode's granddaughter. Recently, it was revealed that production has been delayed on the new Halloween, but the movie is expected to arrive on the previously revealed October 19, 2018, release date. Blumhouse Productions, the studio responsible for hits like Get Out and The Purge, is behind this new Halloween. In addition to the news that the movie has found its Michael Myers, Bloody Disgusting also reports that Academy Award-winning makeup and effects artist, Christopher Nelson has boarded the project. His notable credits include Suicide Squad, Deadpool, Sin City, and Quentin Tarantino's Kill Bill movies. This thing is really coming together.